At Milton Court Primary Academy we follow the 2014 National Curriculum. We use a number of resources to assist in the delivery of these key skills. This page provides full details of the approach we adopt in order to deliver the curriculum. At Milton Court we use quality texts to teach English, focusing on a variety of genres across the year to ensure adequate coverage of writing skills. This ensures that all writing has purpose and fully engages the children whilst exposing them to the rich literary culture that exists in modern Britain. At Milton Court we have introduced a Mastery approach to mathematics. We follow the long term planning from the White Rose Maths Hub and supplement teaching with a range of additional materials and resources. Milton Court uses the Kent Scheme for Science. This approach is very practical in nature and is aligned to the 2014 National Curriculum. As a whole school, we cover the foundation elements of the curriculum using a creative approach based around the "Cornerstones Curriculum". 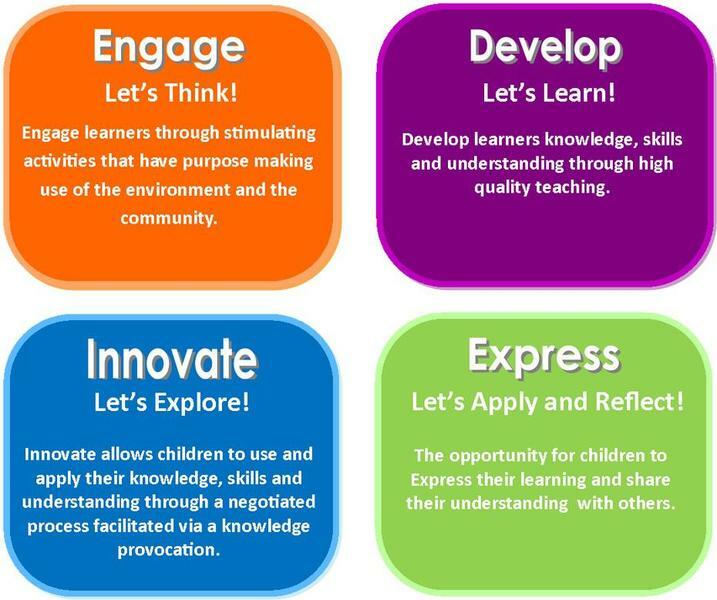 The four stages of learning in the Cornerstones Curriculum.